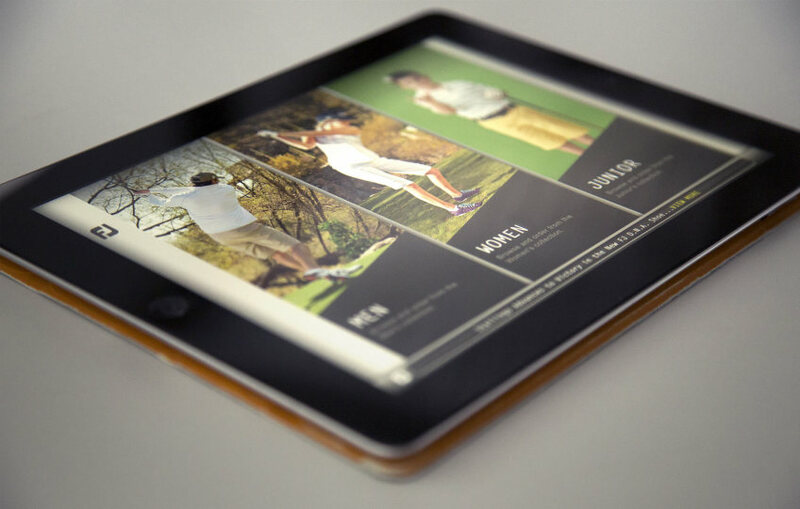 FootJoy’s first in-store iPad catalog. Limited inventory space in golf pro-shops leave brands like FootJoy to rely on physical catalogs to help sell products that couldn’t be displayed. 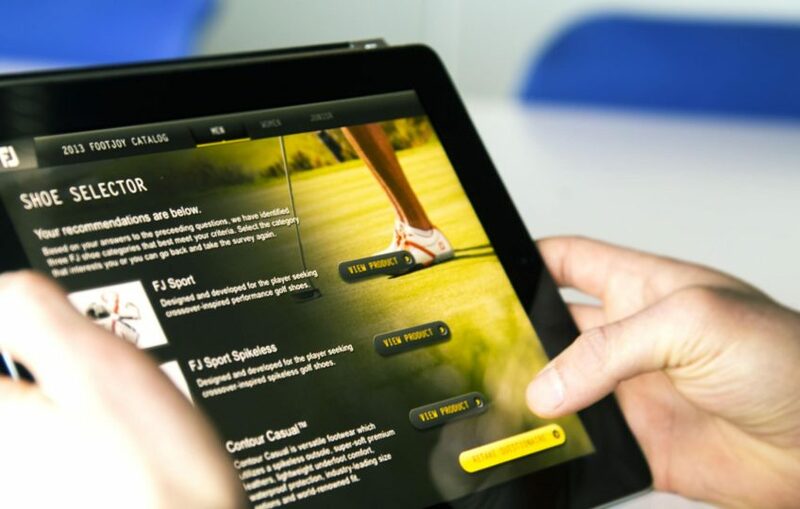 But, FootJoy found a solution with Genuine that engaged and educated customers on all its products with an in-store application mounted in the showroom. 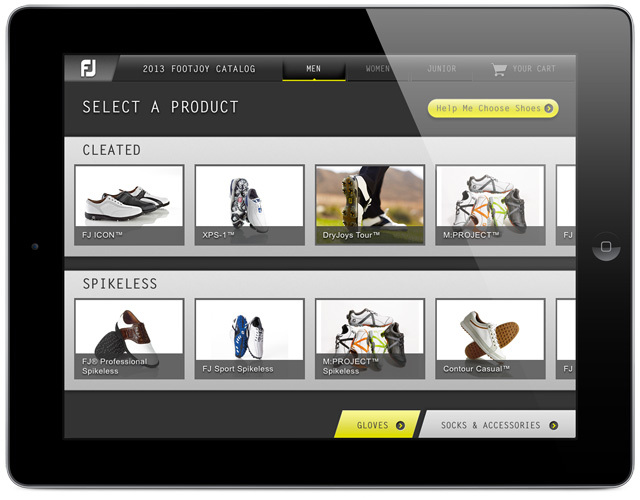 The Footjoy In-Store App is changing the way Footjoy consumers interact with the brand. 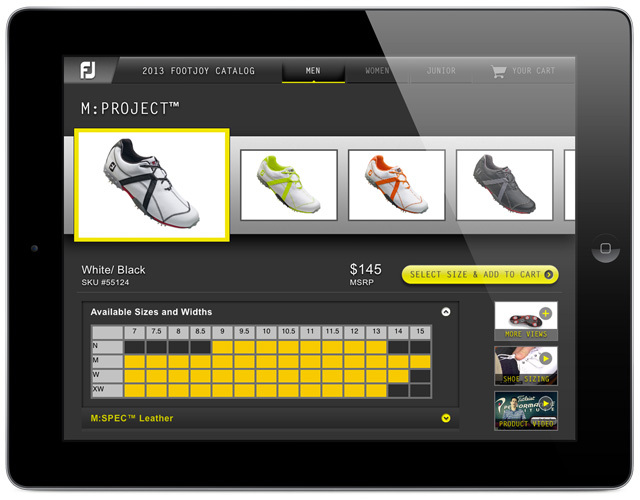 Since it launched in Summer 2013, pro-shops are seeing customers engage with the app for an average of three minutes while also seeing an increase in sales engagement between staff and customers. Now in 100+ stores nationwide, the app has become a valuable sales tool and is providing a richer in-store experience for consumers.